There are lots of recipes for Gluten Free desserts or cakes around but many of them use unusual flour and other ingredients that can be hard to find in the UK. 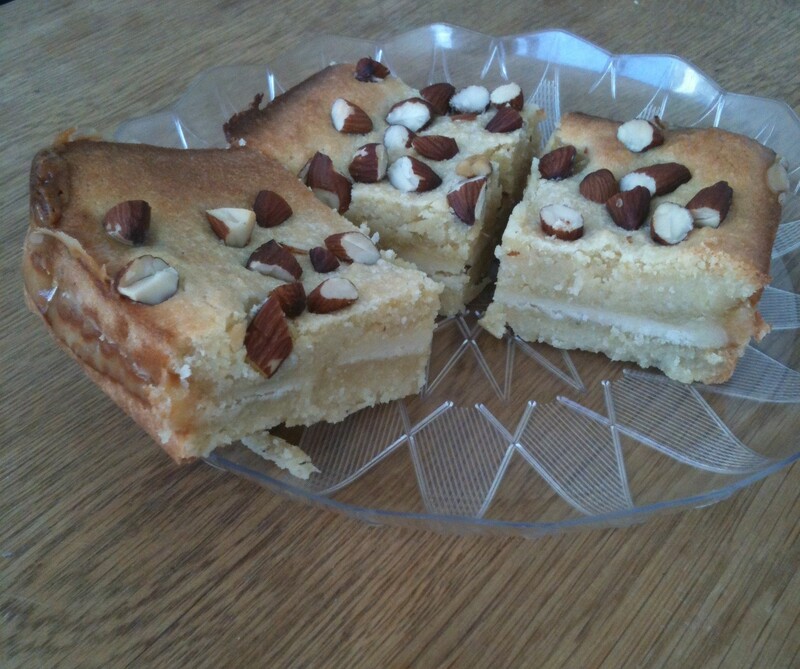 If you have a sweet tooth give this cake a go, it uses almond flour so is flourless and gluten free and if you use Stevia instead of Sugar its low calorie as well. All of the ingredients are easy to find in any reasonably large UK supermarket and the recipe couldn’t be simpler to make. The cake is very sweet so you might not want too much of it at once, I usually cut it into 5cm squares and have it with a cup of strong coffee as a mid afternoon snack or after dinner with a glass of red wine. The cake keeps really well, I usually cut it into about 8 chunks that are roughly 10 x 5cms and wrap them in foil and then keep them in the freezer, removing them to the fridge a couple of hours before I want to eat it. I’ve stored it in freezer for up to 4 weeks with no problems. It will keep for about 5 days if stored in a cupboard in some Tupperware. 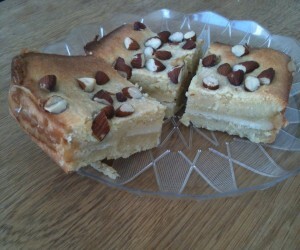 If you’ve just started eating Gluten Free and are missing the occasional piece of cake give this recipe a go. 110g Stevia (double this amount if using regular sugar). if you don’t have one line a cake tin with baking paper and butter it. Roll out the marzipan until its under 1 cm thick, you can try to make it into one piece the size of the tin but I find it easier to cut it into rectangular strips which I use to gradually cover the mixture. This works just as well. Put the eggs, ground almonds, stevia (or sugar) and almond extract into a mixing bowl and then add the melted butter. Mix it all together until its smooth, you can use an electric mixer to do this, I use a fork and it works fine. Put it into the oven for about 35 minutes until the top is golden. Article posted in Desserts, Recipes on August 29, 2013 by Ray Smith.